40 students from seven engineering colleges in Bangalore and Hyderabad are part of a team guided by ISRO to create a 'Pico satellite'. instead of accepting campus placements.They are on a mission possible: they are busy building the smallest satellite for their country at the Nitte Meenakshi Institute of Technology, Bangalore. Forty students from seven engineering colleges in Bangalore and Hyderabad are part of a team guided by ISRO to create a 'Pico satellite'. 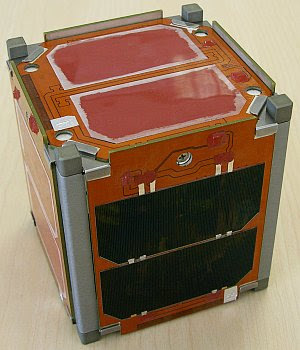 The satellite, which resembles a small cube, weighs only 850 gm and has a volume of 1.1 litres. 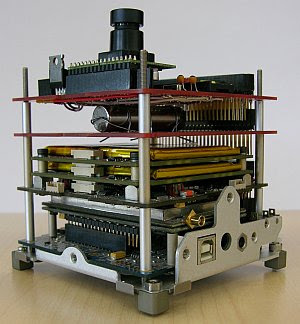 It contains an imaging camera with a 90m resolution and will perform the function of a remote-sensing satellite. Chetan Angadi, one of the team members. The satellite will be launched in December through PSLV to a 700-km orbit. chores - from designing to welding and compiling of structures - are done by the students themselves. The group is a heterogeneous one with students from NITTE, RVCE, BMSIT, MSRIT in Bangalore and IARE, CBIT and VITS in Hyderabad. While the Bangalore students have made Nitte their base, their Hyderabad mates work from their respective college labs. The students divided themselves into different "sub systems" and carry out the various functions independently. "We did not know anything about it when we began. We learn one step at a time and implement it. That is how we progressed," says Raghavendra S, a core group member. They are regularly guided by scientists from ISRO. "We try out different options and approach the ISRO. They decide on which option to follow," he says. The work has proved to be a herculean task. They have been working for the past one-and-a-half years on this project. The idea was conceived by a group of IV semester students from Bangalore who was inspired by a talk at the International Astronautical Federation in December 2007.